MR Online | Did post-Soviet Russians drink themselves to death? 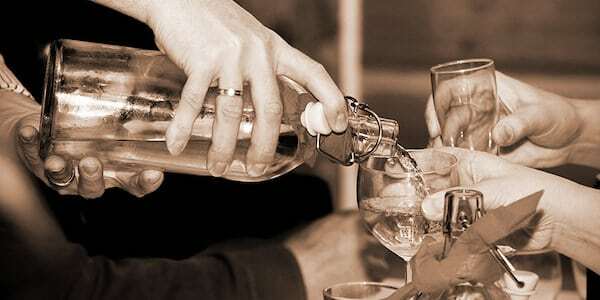 Having advocated ‘shock therapy’, a ‘big bang’, ‘sudden’ or rapid post-Soviet transition, Jeffrey Sachs and others have claimed that the sudden collapse in Russian adult male life expectancy was due to a sudden increase in alcohol consumption, playing into popular foreign images of vodka-binging Russian men. In fact, the transition to the market economy and democracy in Eastern Europe and former Soviet republics dramatically reduced life expectancy owing to greater stress exacerbated by the nature and impact of the early post-Soviet transition under Boris Yeltsin, especially during his first term. 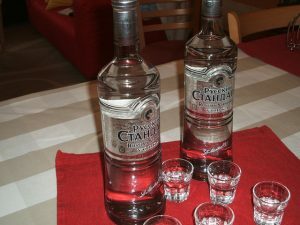 Did post-Soviet Russians drink much more vodka? While alcohol consumption did increase greatly after Gorbachev’s anti-alcoholism campaign (1985-1987) ended, it never reached the highest Soviet level in 1984. While there has been a strong correlation between alcohol consumption and the adult male mortality rate, there have been several periods when per capita alcohol consumption levels and death rates moved in opposing directions. In 2002-2007, for example, death rates from deliberately inflicted (‘external’) causes, including murder, suicide and poisoning, fell despite rising alcohol consumption. Similarly, from 1960 to 1970, alcohol consumption increased from 4.6 to 8.5 litres per capita, according to official statistics (and from 9.8 to 12 litres, according to other estimates), whereas life expectancy did not change much, rising from 69 years in 1960 to 70 in 1965, and then falling back to 69 again in 1970. How did much poorer Russians afford more vodka? Not surprisingly, claims of strong correlations between lower alcohol prices, higher alcohol consumption and adult male mortality focus on the price effect without considering the income effect. While increased alcohol intake has been attributed to the lower relative prices of spirits in the early 1990s, it ignores the fact that real incomes fell even more sharply. In fact, Russian vodka consumption has fallen sharply, by more than half, in recent decades, from over 200 billion litres in the early 1980s and 1990s, to about 100 billion litres in 2015. Meanwhile, the wine and beer shares of alcohol consumption have increased markedly. Some studies claim that at least 30 per cent of alcohol consumption in Russia is unrecorded, and official figures understate drinking low cost alcohol with high toxicity. But this claim has no empirical support, even if only indirect. Thus, the impact of increased alcohol intake on cardio-vascular diseases remains moot, with per capita alcohol consumption and death rates moving in opposite directions at times. Death rates due to deliberately inflicted (‘external’) causes, including murder, suicide and poisoning, fell despite rising alcohol consumption during 2002-2007. Some Western observers attributed as much as a third of total deaths in Russia to alcohol related causes. These are the highest estimates available, but are doubted by most other experts. This very high share is much greater than official statistics which suggest that less than four per cent of deaths were due to alcohol consumption, i.e., alcohol poisoning, liver cirrhosis, alcoholism, and alcoholic psychosis. Some independent researchers have an intermediate position, attributing about 12 per cent of all deaths to alcohol-related causes. Other observers argue that average alcohol consumption levels are not necessarily a good indicator of health risks. One such argument is that not all consumption of alcohol, but only of hard spirits, particularly vodka in the case of Russia, is responsible for the increased mortality. Why did Russian life expectancy fall after Gorbachev? Russia has long had extensive post-mortem causes of death data, having done autopsies for more than 60 per cent of all deaths, i.e., more than anywhere else. Some public health experts argue that while cardiovascular disease was the main cause of death, much of this was due to lethal levels of alcoholism. Deaths from alcohol poisoning are widely regarded as the better indicator of excessive alcohol consumption compared to official production figures as liquor may be produced illegally within a country or smuggled into it. Deaths from alcohol poisoning increased from 10 per 100,000 inhabitants in 1990-1991 to nearly 40 in 1994, exceeding the number due to suicide and murder. By 2007, however, such alcohol related deaths had fallen to late Soviet levels, even though the overall mortality rate remained well above the rate from those times. There is growing evidence that stress kills, using extensive data on earlier declines in life expectancy among men in all former Soviet republics and East European countries. In Georgia, Armenia and Eastern Europe, mortality increased, lowering life expectancy, without increased drinking. Only a few causes of male deaths during 1980–2013 were alcohol-related, e.g., accidental poisoning by alcohol, liver cirrhosis, ischemic heart diseases, stroke, travel accidents, and other ‘external’ causes. The continuous decline in adult male mortality in Belarus and Russia cannot be fully explained by anti-alcohol policies, although such interventions probably contributed to the large mortality falls in both countries during 2005–2006, and in Belarus in 2012. These mortality declines coincided with and probably accelerated to already declining alcohol-related mortality. All statistics and estimates agree that per capita alcohol consumption in the 1990s was equal to or lower than in the early 1980s, while deaths due to ‘external’ causes doubled, and the total death rate increased by half. Thus, simultaneous increases in the total death rate, the death rate due to external causes and to alcohol consumption were all probably due to another factor, namely stress. Jomo Kwame Sundaram, a former economics professor, was assistant director-general for Economic and Social Development, Food and Agriculture Organisation, and received the Wassily Leontief Prize for Advancing the Frontiers of Economic Thought in 2007.